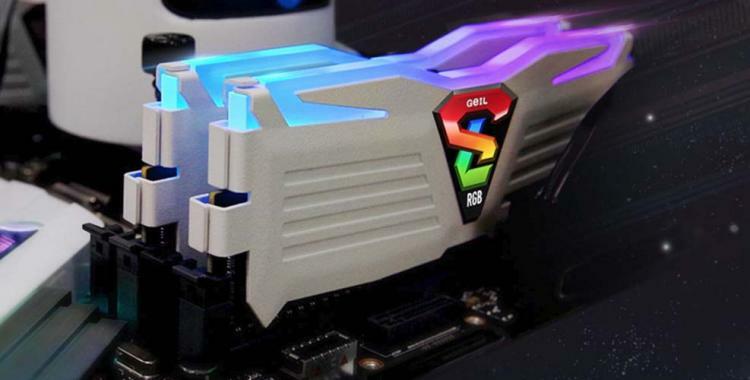 GeIL expands its SUPER LUCE RGB SYNC Series DDR4 gaming memory with new kits in three speeds and capacities: 4133MHz 16GB (8GBx2) CL19-19-19-39 1.40V, 3600MHz 16GB (8GBx2) CL16-18-18-36 1.35V, and 3200MHz 16GB (8GBx2) CL14-14-14-34 1.35V. The addition of the new kits aims to diversify the SUPER LUCE RGB SYNC Series to cater the different needs of builders, from overclockers and enthusiasts to casual users and gamers. The GeIL SUPER LUCE RGB SYNC Series DDR4-4133MHz 16GB (8GBx2) CL19-19-19-39 1.40V DDR4 kits are perfect for overclockers and enthusiasts that demand the highest performance. It features support for most ASUS, GIGABYTE, MSI and ASROCK Z390 and Z370 motherboards. The GeIL SUPER LUCE RGB SYNC Series DDR4-3600MHz 16GB (8GBx2) CL16-18-18-36 1.35V DDR4 kits meet the memory needs for any Intel gaming system. The 3200MHz 16GB (8GBx2) CL14-14-14-34 1.35V DDR4 kits are compatible with both Intel and AMD AM4 platforms and feature a low latency design to enhance performance and offer the most affordable upgrade option for users. The SUPER LUCE RGB SYNC Series modules are available in either matte metallic black or sleek white heat spreader fitted with a fully customisable RGB lightbar. The lightbar is fully compatible with motherboard-based RGB control software including ASUS Aura Sync, GIGABYTE RGB Fusion, MSI Mystic Light Sync, and ASRock Polychrome RGB Sync. The SUPER LUCE RGB SYNC Series features high-quality aluminium heat spreader that works to dissipate heat while maintaining performance and stability even while overclocking highest frequencies. The GeIL SUPER LUCE RGB SYNC Series are fully backed with a limited lifetime warranty. Learn more about the GeIL SUPER LUCE RGB SYNC Series here.